So... Father’s Day is coming up, and what do you have planned for your dad? You know, the guy puts a roof over your head and has provided you with 3 straight meals a day ever since you were a child? Yeah maybe I’m being a little dramatic, but come on! 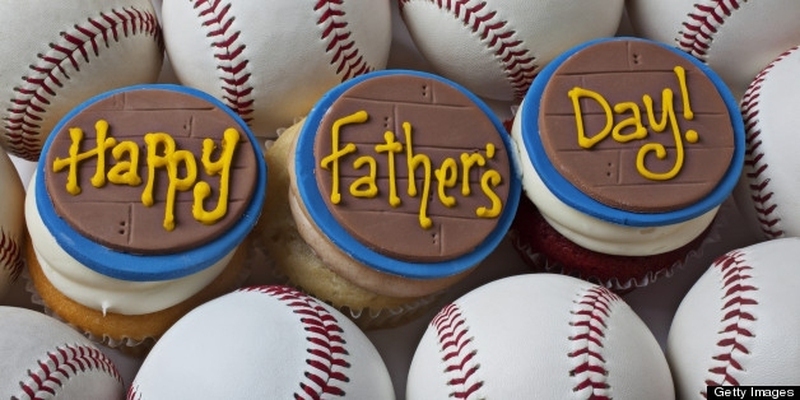 Dads are some of the most underappreciated people in the world and when it comes to Father’s Day, you should go out of your way to show him how much you care by giving him the best gifts ever! Sure you can go to the store and buy him a generic card and gift or do something very cliche like giving him breakfast in bed, but how about kicking it up a notch this year? This one is for those who are very young or kind of creatively challenged. It’s pretty simple, actually. Take a plain A3 or A4 sheet of paper and get all the colors you need handy. Take some like brown paint and a wide flat brush and smear that paint all over your feet. Then press your feet hard on the sheet of paper, and voila! You have your main image. All that you have to do next is look at the pic you just made, position some other images like white dots and then add a text of your liking! PS. Make sure the paint isn’t runny – it needs to be thick. Take an old plain shirt lying around the house, a sheet of vellum paper, cardboard and a bleach pen or a water proof spray paint. Go to the internet, download a fancy font, open it in word document and write something short like "Daddy dearest", "Happy everyday" or "I love you". Print that out on your vellum paper, out lettering with the craft knife, and place the sheet on your shirt. Between the back and front of the shirt, add the piece of cardboard so that paint doesn’t transfer on the other side, and then use spray paint or the bleach pen to get one of the best customized Father's Day gifts for your dad. By using the double boiler method, melt your wax and then add shea butter and coconut oil to it. Once everything has melted, keep it aside and let it cool. Once the mixture becomes a solid-liquid consistency, add your essential oil to it, put it in a clean jar and bam! You’re done. If your dad is into golfing, that is. Use Rit dyes, spray paint or even old oil paints lying around in your house and give his golf balls a makeover. Not only will the paint cover any imperfections, but it will be easier for him to keep tab of his golf balls! Let’s say that your dad is turning 40. So take 40 small pieces of paper in different colors, and in every piece, jot down either your 40 best memories with him or 40 things you like about him. Fold them all up, put them inside the cup and present it to him as one of the most touching Father’s Day gifts ever! Take a sharpie, and make a moustache or a design of your choice on a plain ceramic mug lying in your house. Let the ink dry for a few hours, then pop the mug in the oven for 30 minutes at 350°F. Keep in mind 2 things: keep the mug inside the oven and then turn it on; and let it stay there till it has cooled down after being heated to avoid cracks. And you’re done! Pick a combination of your favourite 4-letter words, assuming you want a coaster that’s 4x4 tiles big, adjust them in an order that suits you and then stick them together with super glue. Add a layer of Mod Podge or varnish over it for extra measure, and that’s it. Make as many as you want. The picture is self-explanatory, right? All you need to do is to print your favourite picture of your dad, rush to the dollar store and buy a decent frame, and then get to work! Father's Day gifts like these are best for geeky dads. For the images, search for them from the internet and take a print out of his fav superheroes, or cut up his old comic books. Next, buy some square shaped wooden blocks, metal discs or ceramic tiles from the dollar store. After that, simply cut, position and stick your cut outs on the coasters of your choice. Add a layer of Mod Podge over it, and you’re good to go. Needless to say, if your dad is not a geek or is more of a sentimental person, then you can repeat these steps with old family photos. Got wooden palletes lying around the house? Great! To make a keychain holder, all you have to do is to drill a few nails (spaced equally) on one side of the pallete where the keychains will be hung. On the back side, drill a small hole so that the pallete can propped on a nail on one of your walls. You can also use the pallete to make an organizer. All you gotta do is to drill two holes on either side of the pallete, and thread a bungee cord or even some old rope lying around the house through those holes. Tie a knot at the back, and drill a small hole next to the knot to put it up on a nail. You can easily customize the pallete by painting designs on it.